One of the things I was able to do on my holiday was catch up on some reading. 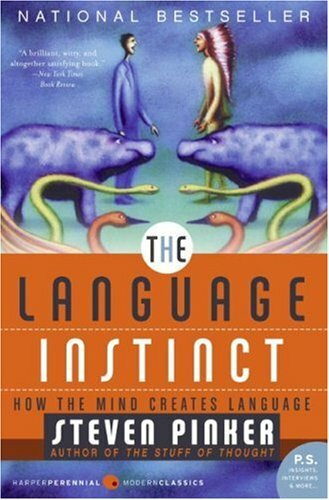 I managed to finally finish a book someone gave me for my birthday, The Language Instinct. A friend gave it to me because they knew I was learning German at the time and thought it’d be a very appropriate read for me. The book has an interesting premise, surmising that humans have an innate ability for language, much like other animals have other skills that are unique to them. Whilst other animals can communicate, the author describes many bits of research and points of views to help explain how people acquire language. Although the author talks predominantly about English, he does delve into a number of other language examples to demonstrate consistent approaches across people from different cultures. I found a number of the facts and studies he cites really interesting – such as the ability for young children to formulate a consistent grammar by the time they are only four, even though no one has even taught them explicit rules. And that we lose our ability to learn new sounds and language fairly early, with one theory being that keeping that language learning ability isn’t particularly helpful from an evolutionary sense because we have enough of an ability to communicate. This is a pretty worrying thing about learning languages later in life. One of the best things about the Christmas/New Year period is the downtime you get. For me, this has let me catch up on my reading list which has been growing for a while. 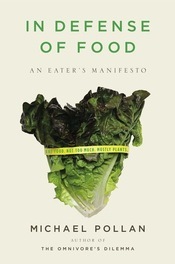 One of the most significant books that I’ve read this year is Michael Pollan’s In Defense of Food. I think that everyone should read this book, particularly if you are looking at being more healthy. The book title sounds strange, yet when you read about his definition of food and the strange things the food industry giants have done, it makes a whole lot of sense. Admittedly it talks about problems more prevalent in the US, yet it is wholly applicable to all other nations as more and more drift in their direction. What is so great about this book is that it uncovers how very little we understand about food science and the complexities surrounding food and its benefits on health. Pollan exposes all the marketing tricks and misleading facts that lead to industries providing empty, nutritionless calories only serving to feed the modern diseases of obesity and type II diabetes. The best part about this book is that it provides some simple advice that you can follow that leads you away from the manufactured artificial constructs you find on shelves towards real food. Simple rules such as don’t buy anything that contains more than five ingredients you don’t recognise, or eat meals not snacks and eat mostly plants, especially leaves. I don’t the UK or Australia suffers as much from the weird chemical contents of food as much as the US, but these rules still apply. A highly recommended reading that will definitely affect the way that I shop, and the way that I eat. One of the good things about travelling somewhere is you can chill out for a bit and get down to reading or something a little bit less hectic. 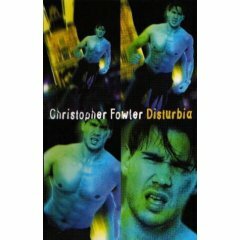 On my latest trip I borrowed Disturbia by Christopher Fowler – a bit of a thriller book set around London based around characters from two highly contrasting social classes meeting. Over time you find out one of the character is part of a mysterious society, and the main characters starts uncovering these activities of the society called the League of Promethius. I enjoyed the book for some of the trivia of places around central London, though I’m yet to work out if any of it is true or not. If so, you could easily see a nice little tour around London based on the book (think the Da Vinci Code). I did find that sometimes the book wavered between moments that are completely believable and holds you in suspense to situations where you think it was a bit of an easy-out for the author to write and was just a little touch “lucky” for the main character. Overall though I think it was very well written and at least is easy to start off, building up very quickly. Best yet is the ending has a little bit of a twist that’s quite enjoyable. I finished reading this book a few weeks back and I found it a very compelling read describing a different negotiation technique developed by people from Havard. I found it a very easy book to read, filled with great examples and it is quite a brief book. The book calls traditional negotiation ‘positional based negotiation’ where two parties state their intended position and leaves two styles, hard and soft or aggressive and passive, to reach their stated position. These two opposing styles of resolution typically lead to inadequate outcomes for both parties whilst endangering long term relationships between the two parties. The book proposes an alternative style that they call ‘interests based negotiation’. In this latter style of negotiation, the goal is to first identify and then fulfil the real interests behind each party. With interests truly understood, it is then easier to generate more options and objectively identify the options that will increase the chances of fulfilling both parties’ interests in the best possible manner. 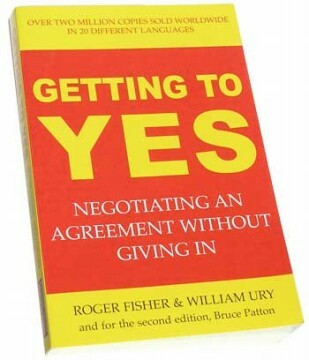 I found this book offered other great pieces of advice such as separating the people from the issue, and a number of strategies for dealing in situations where people are unable or unwilling to participate in this style of negotiating. A consequence of doing a lot of flying around on weekends and trains for work means that I have been able to get through a few books quite recently. 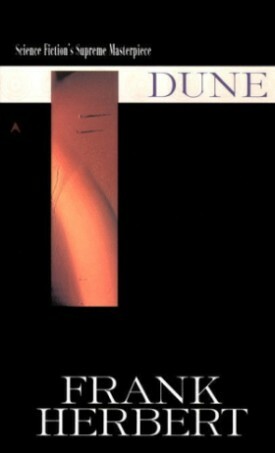 One of my most recent reads was the classic science fiction book, Dune written by Frank Herbert. Despite being published in 1965, its classic qualities that made it popular back then still hold true today. It is a truly captivating and strange world with deep characters and numerous plots that drew me further and further into their world. Most of the book is set on a desert planet that is valued for its prized spice hoards but is renown for its harshness with the lack of water and the monstrously sized worms that roam around consuming anything and everything in its path. A couple of Family Houses vie for control of the planet because the source represents an invaluable income due its extravagant uses throughout the galaxy, all while plots of deceit unfold and a legend of old is fulfilled. After reading the book I’m not at all surprised by the number of off-shoots this book created. The author wrote numerous sequels detailing other aspects of other cultures touched in the book, several computer games were developed alongside a movie and TV mini-series. I really enjoyed reading this classic book and I’m now reading the rest of the books before I see the movie and mini-series. 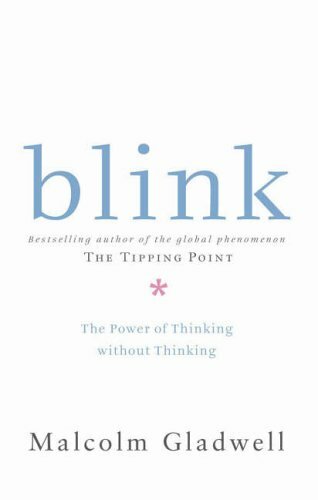 One of the books that has been on my list for a while is Blink: The Power of Thinking Without Thinking. This short book written by Malcolm Gladwell helps you think about the way that you think and the role that your subconscious thoughts play. The book describes many scenarios in which over-thinking problems leads to problematic solutions and other examples demonstrating that only a short amount of information is enough to make the best decisions. I like the way the author gave many examples but I found I came away without a clear message about when you should follow your “instincts” or when searching for additional information can help. The book left me with an impression that when you are an expert in sometime, there are subtle nuances that allow you to make quick choices about them, and trying to reproduce them by artificial means (such as a process or a program) is near impossible. 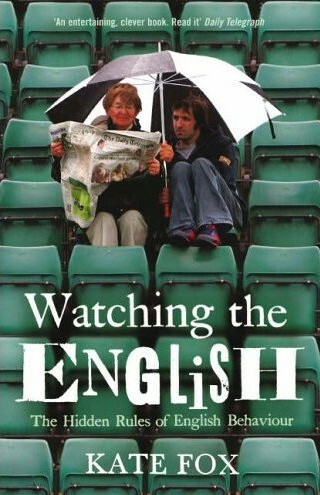 It’s a great book and admittedly easy to read. I feel I need to read it again to get a better insight into how I can apply this in every day life but I feel I can still recommend it. A few years back, I read the book ‘Fat Land.’ that dealt with the eating habits of mainly American society leading to greater and greater levels of obesity. Even though it discussed mainly American society, I thought it still readily applicable since their influences reaches many other countries. Fat Land focused especially on the effects of high fructose corn syrup (HFCS), a by product so sweet and cheap it is used everywhere but with the hidden cost of excessive amounts of calories. 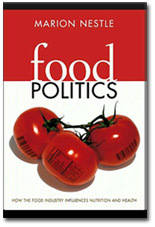 After reading that book, the book named ‘Food Politics’ jumped out on the shelf. Food Politics compliments Fat Land by covering the “how” industry manipulates the government and the law, instead of the “what” result we have today which the latter book covers. The author, Marion Nestle, also a nutritionist writes about her observations and conclusions after serving on a variety of government boards and committees including the most well known Food and Drug Administration (FDA). I count her as a courageous author, with apparently many others involved in the industry unwilling to publish their opinions in such an open and industry-challenging manner, especially in a litigation friendly country as the United States. She covers a wide range of topics reaching back to when the government first started advising on the food that the general public should be eating, and the number of events that changed the landscape too what it is today. She discusses the huge amounts of money industry spends on government lobbying, as well as the lesser known and certainly less desirable ways in which companies achieve their objectives without regard to the cost of safety of public health. She writes about the use of fear, confusion, and mass hysteria fuelled through misinformation or conflicts in information to pressure the government into easing their tight regulations as well as the marketing campaigns used to develop wider groups of consumers for their products, specially targeting children and low income earning groups. It is a tough topic to describe since so many factors affect the choices of people’s food intake including cultural backgrounds, health priorities and financial states. Though not particularly surprised by what Nestle covers, I am sadden by the degree to which companies effectively handicapped the Food and Drug Administration’s capabilities and the result is glut of unhealthy and excessively over-nutritious and under-balanced products saturating the market. The author researched the book extremely well and easily cross referenced hundreds of published sources of information. I found the book well balanced in the amount of dry data it offers together with the intimately detailed stories told and fills in a much needed gap not readily available to the public. Though I don’t recommend this as light reading, for answering the question why we have the products we have in stores today. This book I chanced across in the library turned out to be a great read and I recommend that any foreigner living in London should read it (but it’s probably just as a good a read for English people as well). The premise of Watching the English, is the study of “Englishness” as researched and written by an English anthropologist, Kate Fox. The author covers all aspects of modern English life included topics such as what constitutes valid topics of conversation, pub etiquette, queuing rules, dress codes and the English class system (that surprisingly has little to do with money). The focus of her research was to draw out the common but unique aspects that make English, well, English. Part of her research method required her personal involvement along with her normal observations, and the author’s struggle against her “Englishness” added a lot of humour to the book as she describes forcibly attempting things that went directly against all her in-built mannerisms. To some degree it explained a lot about the behaviour you see of ‘Brits Aboard’, especially their infamous Hen’s and Stag parties, as well as many other quirky behaviour foreigners typically comment on. At times her arguments fail to stand up as being exclusively English as there are always exclusions, but it is evident she made a strong attempt at keeping the focus on typically English-only behaviour. In many ways, you could interpret many of these common behaviours of people from ex-colonial countries as the influence of the English. I think this book made a very enjoyable read and though the author attempted to formalise many of her conclusions, the humour and real life examples that she uses makes it very easy to digest. Many times I sat on the plane almost laughing out loud reading this book because it all too hard to live in England and not experience the very same situations she writes about.